The AMD Ryzen leaks just keep piling up, in this one we’ve got 8 more motherboards for you from MSI and Asrock. This leak is courtesy of the good folks over at VCZ. So let’s dig in! 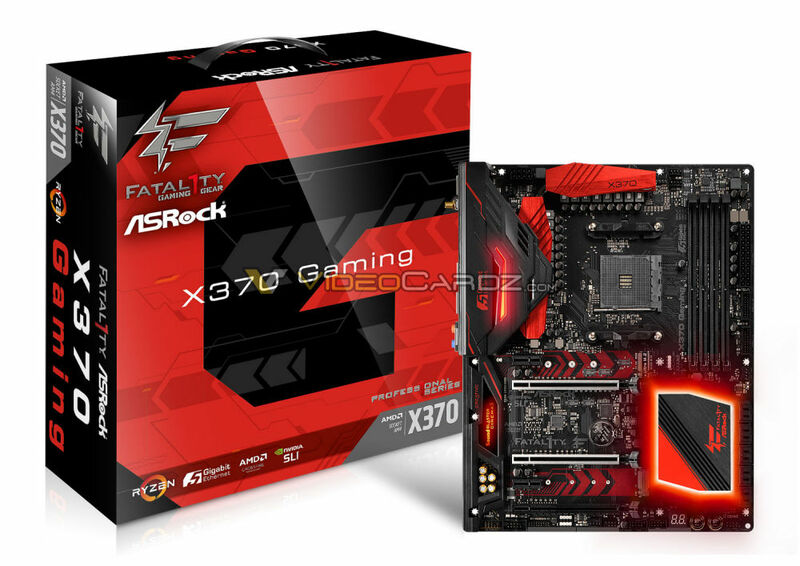 This motherboard is part of ASRock’s famous Fatal1ty gaming series with a lot of emphasis on great integrated audio and gaming-centric networking features. The board features two full-length x16 PCIe 3.0 slots. Which means it supports both CrossfireX and 2-way SLI configurations. It also features two M.2 interfaces. 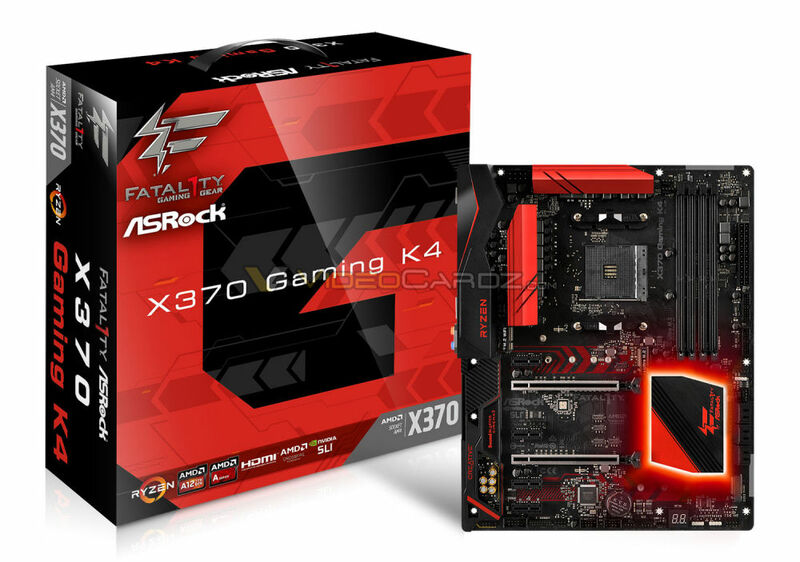 The Gaming K4 maintains the same red and black theme that the ASRock Fatal1ty motherboards have become known for. This particular model is a more affordable option with very little compromise. Just like its bigger brother it features two full-length PCIe 3.0 slots as well as two M.2 Slots. Although the VRM heatsinks are noticeably slightly less beefy and don’t have the same fancy LED lighting except on the south-bridge heatsink. 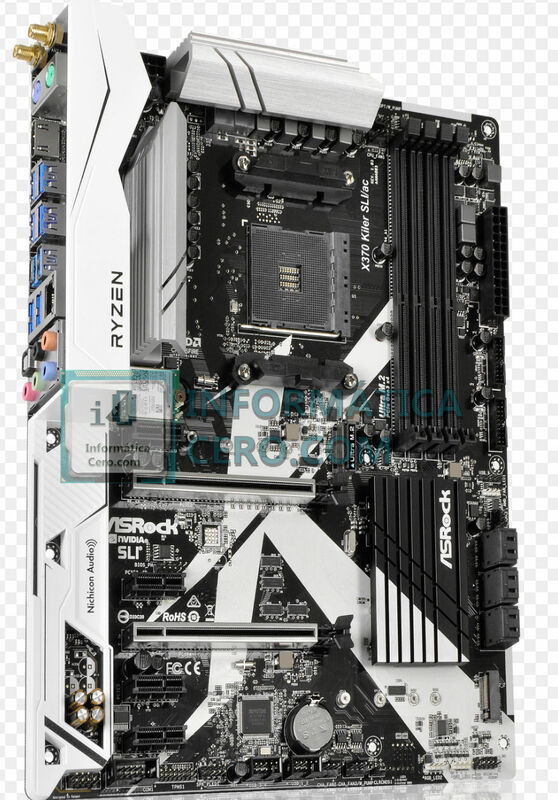 This motherboard has the exact same layout to the Gaming K4. The VRM design and heatsinks are identical, except for the color differences. The board features two PCIe 3.0 slots and two M.2 slots just like the Gaming K4. But it seems that it has a very slightly different audio circuit board and is missing a few debugging screens. This is pretty much the same Killer SLI board all be it with AC WiFI included. 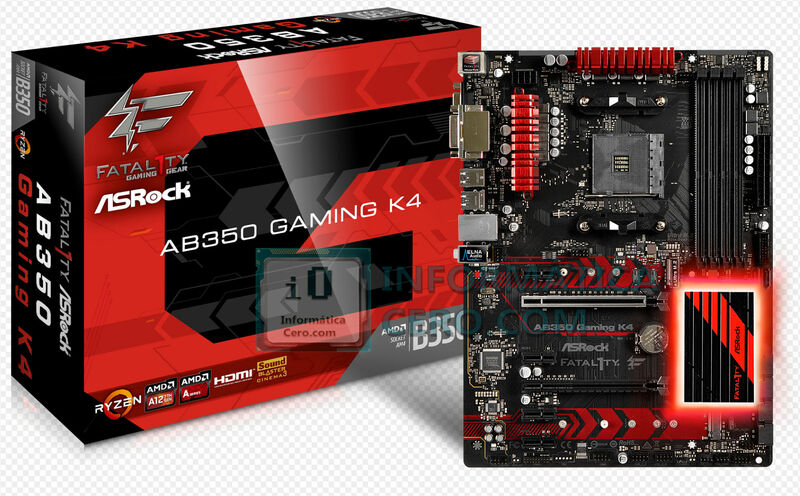 This is the highest end board we’ve seen from ASRock yet in the AM4 lineup. It features a noticeably beefier power delivery design and cooling, quite similar to the Fatal1ty Professional Gaming. So unlike the Killer and the Gaming 4 it should yield better overclocking results. 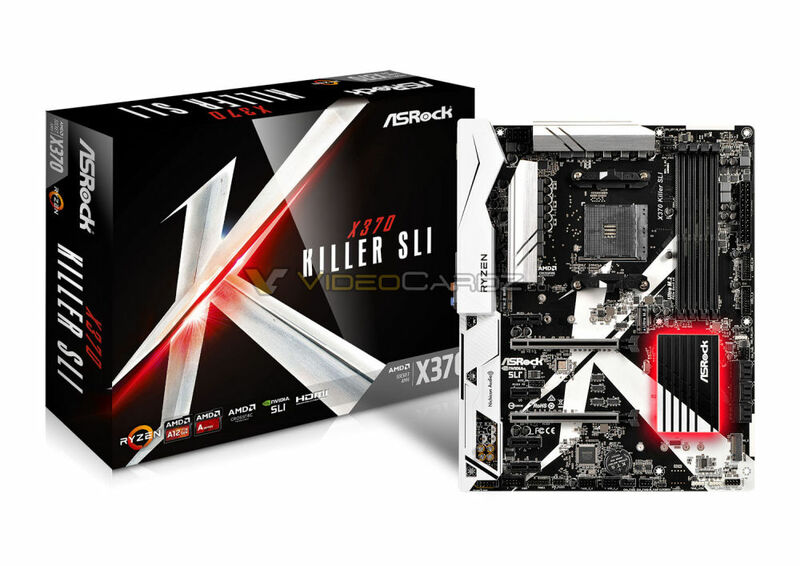 It has the same very clean looking black and white color scheme as the Killer SLI board but with the combination of blue LED lighting instead of red. It comes with a better integrated audio solution. It also features an integrated WiFi AC card and plenty of SATA ports. 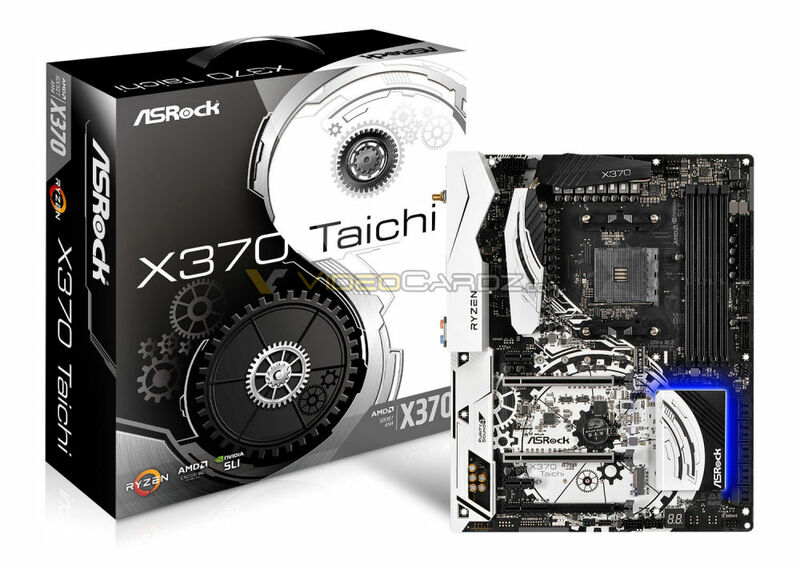 This is the only ASRock board of the bunch to use the B350 chipset rather than the X370 chipset. Which clearly shows as this is the only board without two full-sized PCIe 3.0 slots. Rather it has a single x16 PCIe 3.0 slot and a single PCIe 2.0 x4 slot. Being a mainstream budget oriented board we notice that it’s lighter on the VRM cooling compared to all the previous boards we’ve seen. But in terms of functionality it’s still very compelling. It features two M.2 interfaces and 8 SATA ports. This is the first time that we’ve taken a look at this board. It features a very sleek looking monochromatic black color scheme with the occasional silver accent. 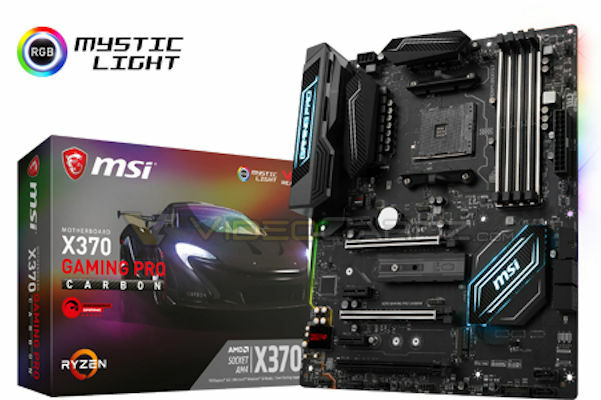 Unlike the ASRock boards though, which featured comparatively a generous number of SATA ports, the Gaming pro has 6 SATA ports and one M.2 slot. It also features two full sized PCIe 3.0 slots and an additional PCIe 2.0 slot. Which means that it will be capable of supporting 2-way SLI and Tri-Fire. This is the top-dog AM4 motherboard from MSI. In contrast to the Gaming Pro, while it’s also monochromatic, the board is mostly white with some black and silver accents. So it should look really sharp in white-themed builds. 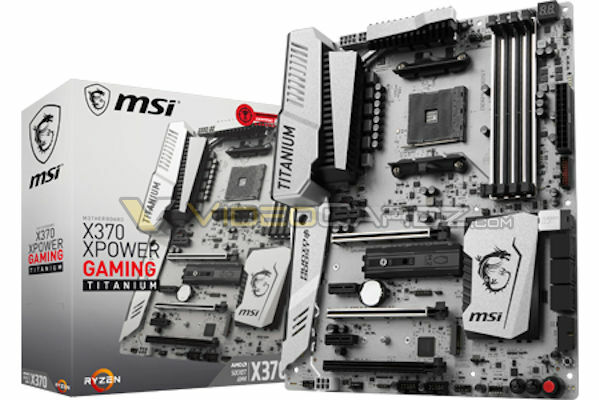 It has the most robust power delivery circuitry and cooling of the MSI Lineup. It noticeably has an 8+4-pin motherboard auxiliary power plug, compared to the standard 8-pin fair of the Gaming Pro. It also uniquely features an additional 6-pin auxiliary power input at the bottom. Which appears to be feeding the PCIe slots. We’ve seen these kinds of power inputs on the most premium of enthusiast boards. It serves the function of improving multi-GPU stability and GPU overclocking in scenarios where power is a limitation. And that concludes our small round-up here. If you want to check out the full round-up of all AM4 Ryzen compatible motherboards that have been leaked to date, make sure to checkout our ultimate AM4 motherboard round-up article here.